Grindelwald Tasmania is a small village about 15 minutes drive from Launceston or approx 17kms. The village is a replica of a small Swiss village. The homes look like what you would expect in Switzerland. 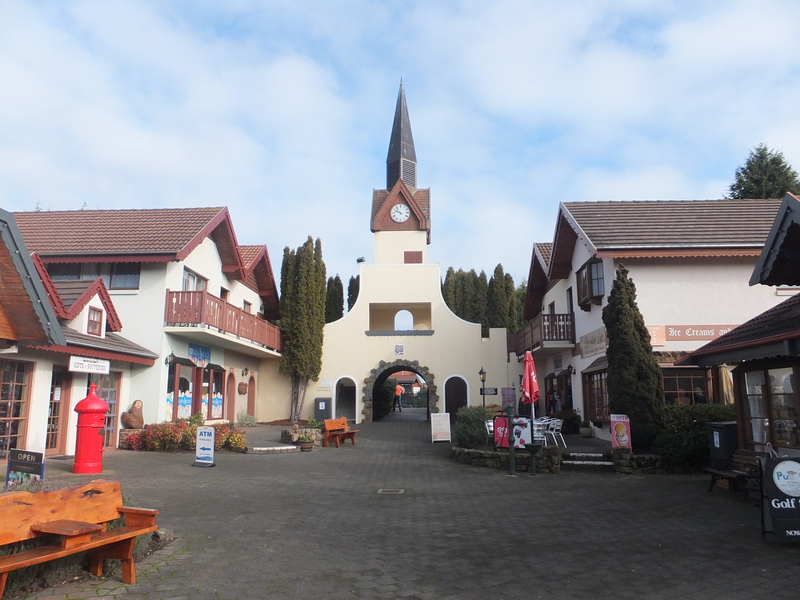 The actual resort itself is also based on a Swiss village along with the little shopping chalets and restaurant. We were booked to stay there for 3 nights. 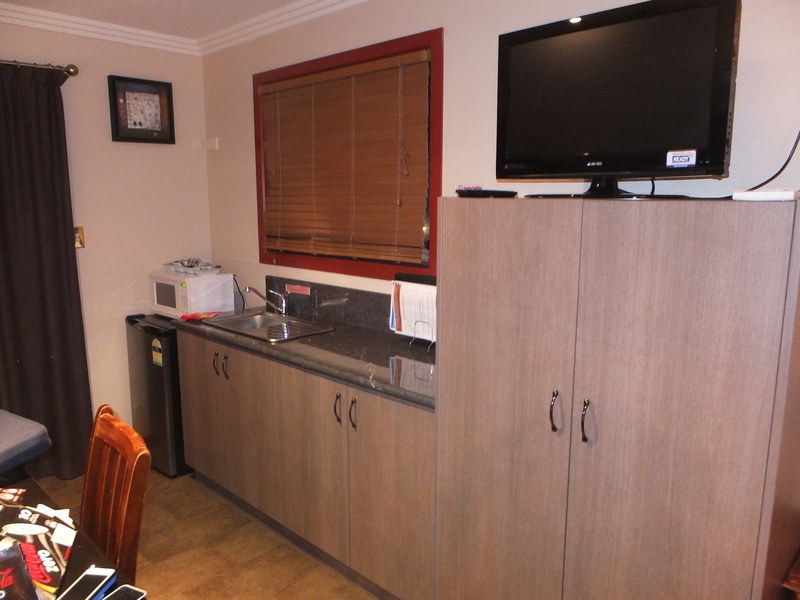 The Tamar Valley Resort consists of hotel accommodation as well as chalet type self contained units. On this occasion we had one of the chalets that sleeps 4 people. Craig returned to Melbourne the evening we checked in so Keira slept with me and Alannah and Caelan in the other double bed. This is what my mornings look like! The chalet had a kitchen sink with microwave so enough to be able to prepare breakfast before heading off for the day. I always find having facilities to make breakfast a big plus as its means you don’t have to rush in the morning and saves you a packet on buffet breakfasts which never seem like good value especially when you have kids that are happy enough with a bowl of rice bubbles! 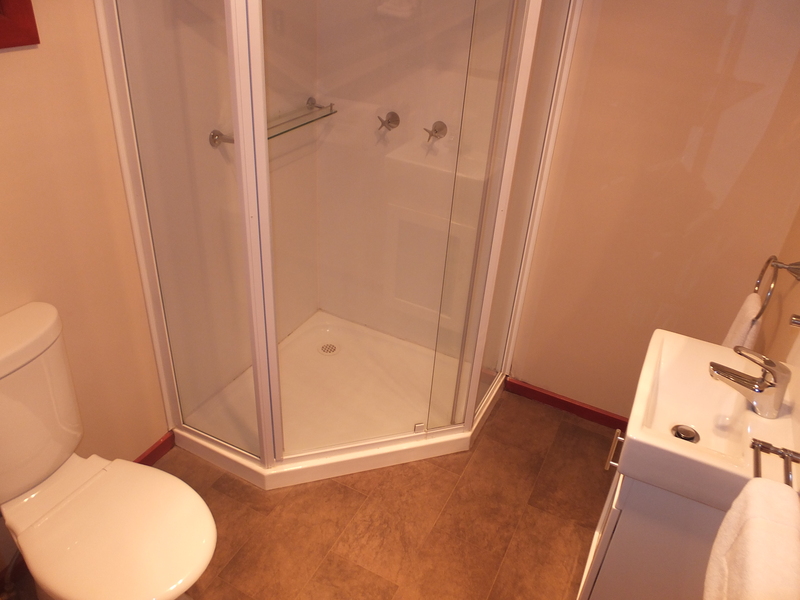 The bathroom was small and contained a toilet and shower with a sink and mirror. I was happy to see that a hair dryer was supplied. The bathroom had heat lamps in it which is fantastic as it does get freezing in winter which is when we were there. Enough room for what we need. Clean and seemed relatively modern. Now I wasn’t going to say anything about this but it would be improper of me not too. On all 3 mornings that we were at the Tamar Valley Resort the morning temperatures were below 0 degrees. Unfortunately the wall heater in our chalet froze and would only blow out cold air if any at all. 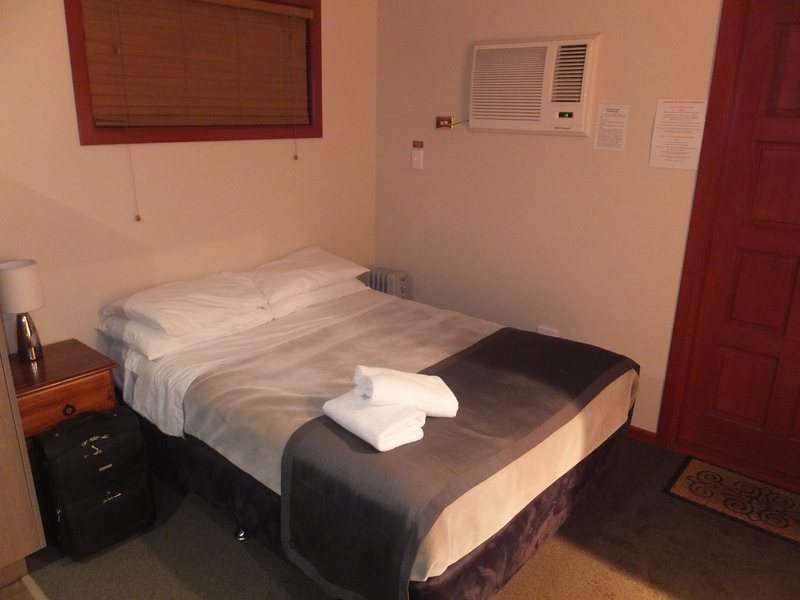 The beds consisted of sheets and blankets and there were a few extra blankets in the cupboard, no electric blankets. I have to say, we were freezing. Wall heater/cooler, not suitable for the Tasmanian climate. 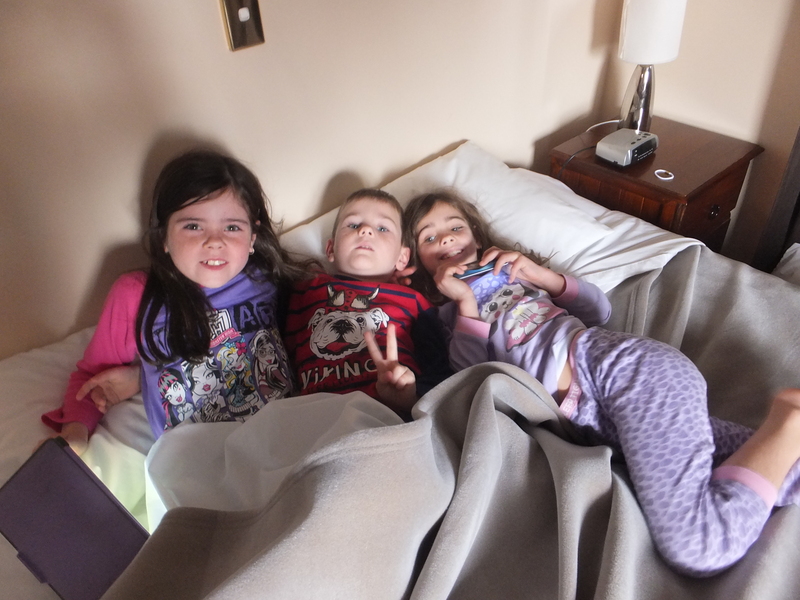 The first night I woke up to two of the three kids in bed with me and we were all shivering. Alannah doesn’t feel the cold all that much, I would have given anything to be her for a couple of days. This meant with all 3 of us in one bed and on top of each other trying to get warm not much sleep was had. Each room has a radiator heater but that was unless when it was -3 degrees, it didn’t even take the edge of it. I called the reception and they advised they would send someone down to have a look. One of the maintenance guys promptly attended and told me yes its frozen and until it warms up outside its not going to work. He had someone deliver an extra radiator heater but again it didn’t do anything. I would not return to this resort in winter for this reason and this reason only, the rest of the chalet was lovely and more than suitable. 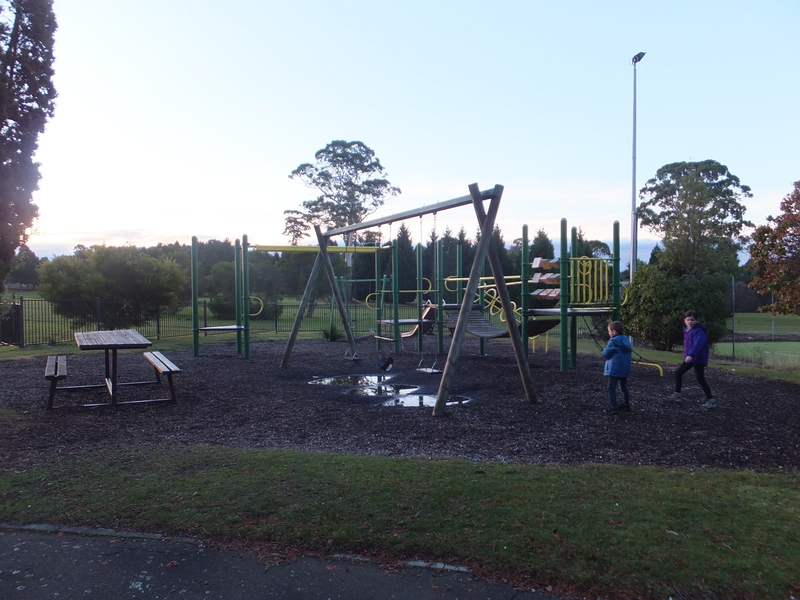 The Tamar Valley Resort is very suitable for kids with plenty for them to do. There is the 18 hole mini golf course at the entrance to the resort that is very well maintained. There is a jumping pillow outside the restaurant and an indoor swimming pool attached to the reception/hotel area. There’s a playground and a large timber play boat to climb on. There are also tennis courts and a full golf course for those interested in something a little more challenging. 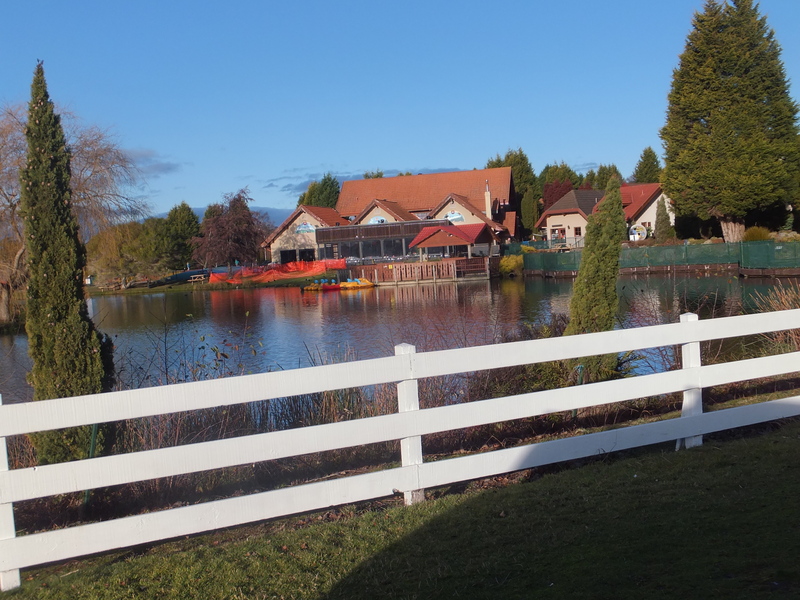 It was pretty disappointing to discover that you had to pay for the mini golf, jumping pillow and the row boats out on the lake, even if you are guests of the resort. I found this surprising as I believe that once you have paid to stay at the resort, the facilities located on the resort should be all inclusive. It was $8 per child for mini golf and $6 per child for the jumping pillow. These extra costs add up and I would much prefer to be spending my money in the restaurant rather than on activities. 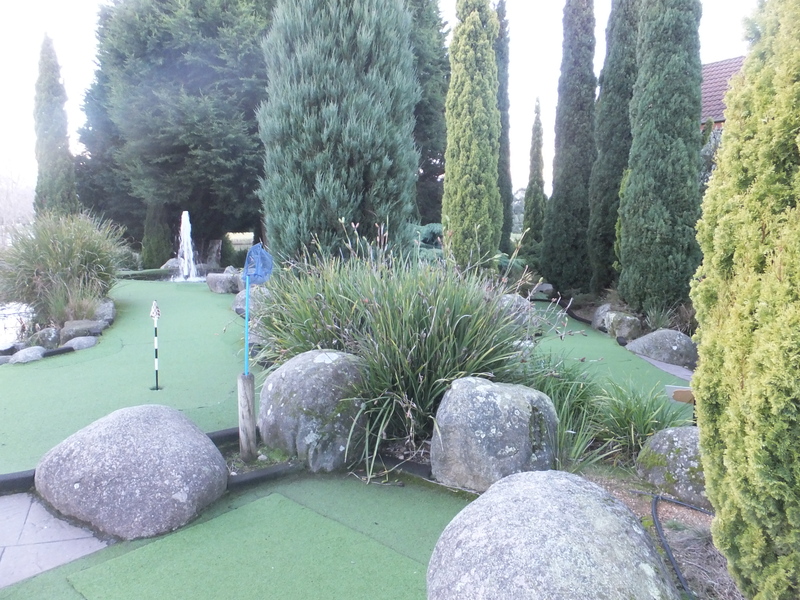 Beautiful well maintained mini golf course. The resort also has a little shopping village which was entertaining, there was a chocolate shop, the pro shop, a clothing shop and games arcade. There was a restaurant located in the village and we had wood fired pizzas on the night we arrived. The restaurant does a buffet breakfast, lunch and dinner service. Prices were on the high side but not ridiculous, the food was nice. Grindelwald is located at least 5kms from any other towns and the resort restaurant is the only restaurant in town so you are kind of at the mercy of the resort unless you decide to go for a drive for dinner. The Tamar Valley Resort Shopping Precinct! I found a good deal online with wotif.com for this resort. We paid $110 per night and I really think if I had of paid more I would have been disappointed. I was told by someone else that the resort was recently purchased by someone in Cairns who had replaced all the heating units with something unsuitable for the climate (not surprising that explains the frozen heaters). I found it disappointing that I had to pay for the kids activities. I would expect people who are not staying at the resort to have to pay but really I think guests should not. When I checked the resort out online, there was nothing there that advised of this either. Would I return? Juries out…. not sure really, certainly not in winter. Other than the two issues highlighted I really enjoyed the resort. The location is great, the grounds are beautiful and the chalets have great character. Reasonable value for money (not sure I would pay full price though) and the staff where friendly and helpful (other than the heating situation which they were unable to assist with anyway). There is quite a lot of options for Tamar Valley accommodation so I would probably stay elsewhere if I returned. Have you stayed at the Tamar Valley Resort? Would love to hear about your experience in the comments below. We visited a number of places while in Tasmania, including Cradle Mountain, Bay of Fires, Seahorse World, Platypus House, Mole Creek Caves and Cataract Gorge. We travelled to Tasmania on board the Spirit of Tasmania and we took our car to travel around in.